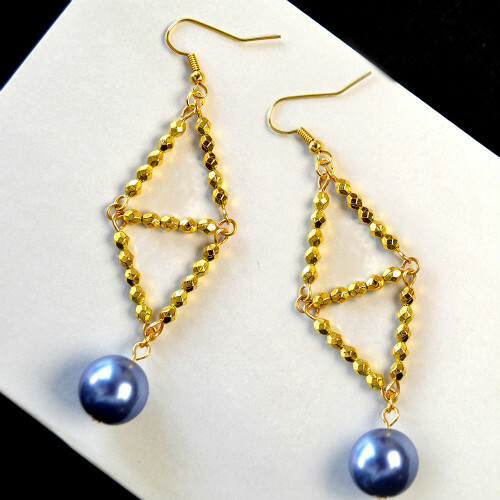 Summary: This pair of earrings is made of golden seed beads and a pearl. It is simple and elegant. You can make one for yourself and use it to match your dress. 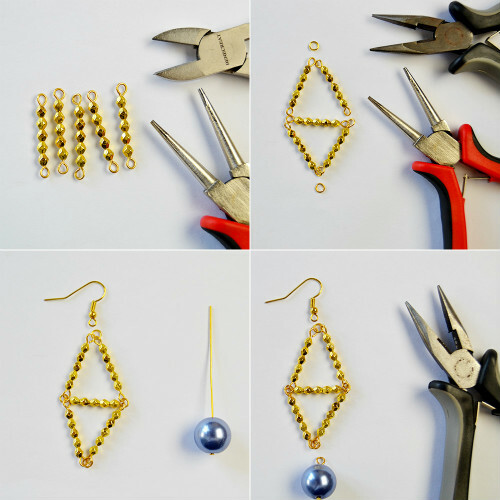 This pair of bead earrings is not hard to make. Modern and simple design are favored by office ladies. 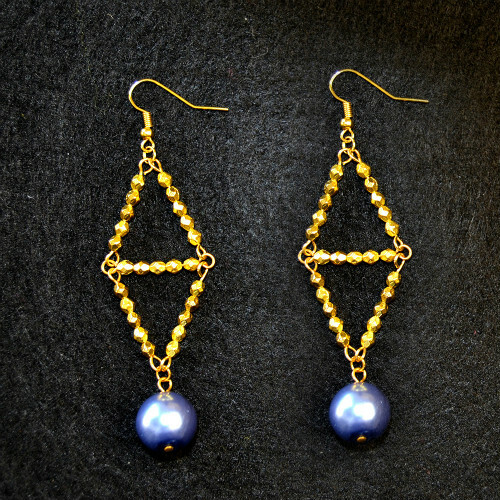 This pair of earring is rhombic in shape and the color is matched well. 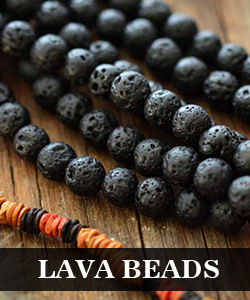 In addition, the materials are not expensive and you can make one pair for yourself and use it to match your dress. 1st Thread the eye pins through 5 bicone beads and make a ring on the other end. 2nd Make 10 strands of these for preparation. 3rd Thread a head pin through the pearl bead and make a ring on the other end. Make two of them. 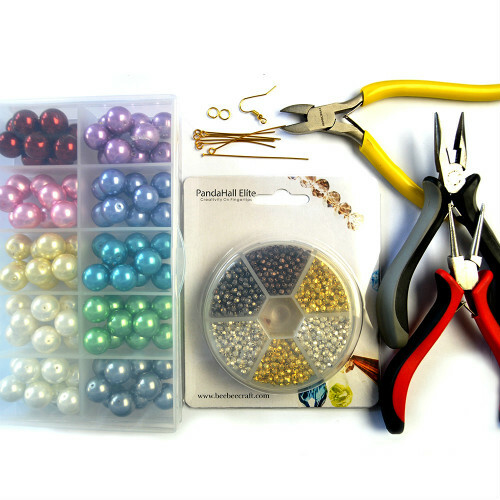 1st Use a long nose pliers to connect the beads strands together and make a rhombus shape. 2nd Add an earring hook to one end of the rhombus and the pearl bead to the other end. 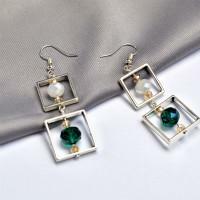 Here is the final look of this pair of simple earrings. See? It is very easy, isn’t it? If you like it, don’t hesitate to make one. Or if you have better ideas or advice, welcome to comment and let us know.